1. Make sure you get the right home loan – For YOU! The average mortgage rate is usually the focus of the bargaining. But wait. What about the costs associated with getting the home loan. Loan origination fees, appraisal fees and processing cost are topics for negotiation. Yes, these “loan costs” are usually rolled into the loan principle, but that means you pay them plus the interest on them. Getting them reduced is a better way. Lenders advertise their loans and highlight their annual percentage rates (APR ). When it comes to home financing the APR is supposed to help you compare loans by combining the fees and points with a year of interest charges. The “idea” is to show the “true” annual cost of the home loan. However, most lender’s APR policies differ. Some include their application fees in the APR, some don’t. So two home loans from different banks may have different APRs even though they have identical rates and points. Always ask for an itemized list of your estimated closing costs item for home loans. The details are required by law. When you receive the final loan documents for signature,check the amount shown as “amount financed” on your settlement papers. If it is not the same as the principal you are borrowing understand why. You will need to purchase mortgage insurance if your down payment is less than 20% of the loan amount. Your lender may suggest it’s no big deal. Once your equity grows to 20% you won’t have to pay the mortgage insurance payments. However, that may not be the case. The Homeowners Protection Act of 1998 requires lenders to automatically remove the mortgage insurance when home’s equity reaches 22% of the home loan amount. it’s the lender’s prerogative. So be sure to understand the mortgage insurance obligations before you close your loan. Know what conditions you have to fulfill before you can stop paying for mortgage insurance. Being pre-qualified helps you understand the home loan amount you can “likely” afford. However, it doesn’t mean you are approved for a loan in that amount. Being pre-approved is a better position. Getting pre-approved will require a lot more financial information be given to the lender. 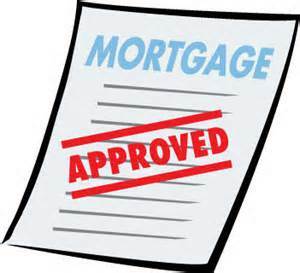 Based on your timing and objectives consider a pre-approval over pre-qualified loan status. Keep in mind, that in today’s home loan world, even pre-approved status is not a lock. If you are moving to Tucson for a new job, winter get away or just interested in seeing if Arizona is the right place for you to retire too, we can help!